Lifespan Structures designs, manufactures and supplies FRP composite bridge decks, a strong, lightweight & cost-effective alternative to traditional footbridges. We aim to simplify the process for clients looking to utilise the long term performance benefits of FRP composite in the construction industry. Our involvement in the Conceptual Design of FRP composite footbridges allows owners to benefit from bridge design, FRP composite design, manufacturing and bridge supply, all from one company. 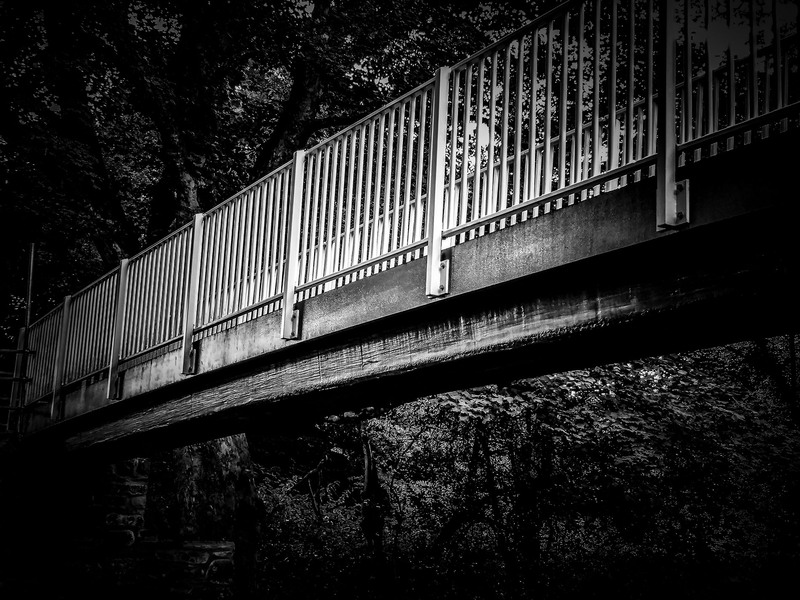 A Lifespan Structures footbridge ‘bridges the gap’ for a client between choosing a low capital cost and a low whole life cost options, allowing the client to maximise their benefit in using a FRP composite bridge solution. With the bridge deck dimensions we can quickly provide an outline proposal for consideration which can include a schematic drawing and parapet options. Given the loading requirements we can usually provide a budget quote in a week which will include delivery costs to site, bridge dimensions and approximate weights. Lifespan Structures design the FRP composite decks to suit our manufacturing processes and for efficient use of the materials. AIP certification and design checks are also available if required. Each bridge is individually designed and manufactured for the specific requirements of our client in terms of live loading, dimensions, parapet detailing, surfacing, longitudinal camber and colour. As part of our service to the construction industry we provide CPD seminars to Local Authorities and Consultants to explain how FRP composites are used for the construction of bridge decks and the benefits. 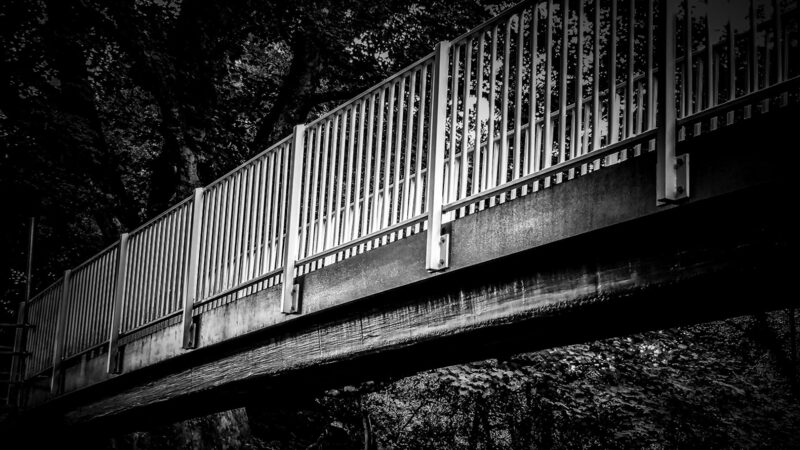 FRP composites are lightweight structural materials so our bridge decks are less than half the weight of steel or timber bridges making them easier and safer to install. These materials have been in use for over 50 years in all types of industries including the marine and wind energy sectors. They are renowned for their durability in aggressive environments. FRP bridges are similar in cost to steel and timber alternatives. The lower dead load also reduces the cost of the abutments and installation costs. We just need the bridge dimensions and load cases. We can provide AIP documentation and design checks if required. It can be a two stage procurement for initial design followed by manufacture and delivery or one stage. installation contractors prefer our bridges because they are delivered to site in one piece complete with surfacing and the supplied parapet is easily bolted to the deck. The bridges can be lifted into place in less than an hour often using a tracked excavator. The carbon and energy embodiment from manufacture is much lower than steel and comparable with timber. We are starting to use bio resins in the manufacture which will reduce the environmental footprint even further. The slender nature of the deck and the choice of colours, parapet types, surface finishes and deck radius allows our clients, with their local stakeholders, to choose the final appearance of the bridge to match the surrounding environment.